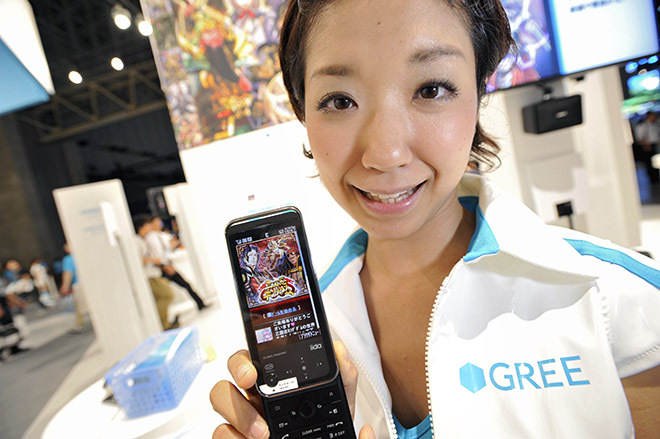 Japan may be a little late to the smartphone revolution, but it’s continuing to pick up steam. According to new data from comScore, smartphone ownership increased 43 percent in the first half of this year, rising to account for nearly one quarter of the country’s mobile population. Citizens expressed a clear preference for homegrown handsets, as all of the top five makers are Japanese. 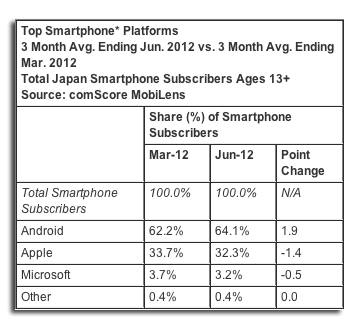 The firm’s MobiLens survey found Sharp to be the top phone maker, followed by Panasonic, Fujitsu, NEC and Sony. The survey, which polled 4,000 mobile owners, estimates that the country has some 24 million smartphone owners. That’s up from 19.3 million in February, when roughly one out of every five Japanese handset owners had a smartphone. Among smartphone platforms, Android was the clear leader, growing to 64.1 percent in the June quarter, up from 62.2 percent in March. Apple’s iPhone actually dropped 1.4 percent in market share over the quarter, settling in at 32.3 percent. Microsoft came in at a distant third with 3.2 percent. Taking photos was the most popular use for phones, both smart and non-smart, with 61.1 percent of respondents using their handsets for the task. 56 percent said they used email, and 54.7 percent used applications. As smartphone ownership is ramping up, fourth-generation data services are picking up pace in Japan. DoCoMo recently reported crossing the 5 million user mark, just four weeks after attaining 4 million subscribers. Japanese messaging app Line is also seeing steady adoption, with more than 55 million users worldwide.